As much as the debut effort from new thrash flag bearers Lazarus A.D. was full of promise, the second CD is an unfortunate disappointment. Black Rivers Flow is repetitive and uninspired, the band hitting quite the brick wall on just their second time out. With a sound most resembling beefed-up Anthrax, the songwriting is simply poor to average, the tracks often resorting to the most basic of thrash elements, lining them up next to each other and hoping for the best. Most of the time nothing happens except boring monotony. Far too many of the selections collapse into simplistic, sometimes endless repetition of rudimentary riffs and blah solos, leaving behind nothing but habitual disappointment. The Strong Prevail and Casting Forward are the worst offenders in an overall weak set. The highlights are few and not so high. The Ultimate Sacrifice brings a decent amount of aggression and complexity to the party, but it's the best of a mediocre bunch, and even it dissolves into predictable repetition. Title track Black Rivers Flow introduces a thoughtful melody with a modicum of interesting lyricism, but average development. There are some useful intros thrown into the mix of mundaneness, notably the start of opener American Dream, Black Rivers Flow, Light A City (Up In Smoke), and Through Your Eyes, but even when the initial impression is strong, the follow-up fails to build on the promise. Final track Eternal Vengeance sums up the album: it ends with more than a minute of brain-dead repetition, the same dull theme bludgeoned into the dirt. 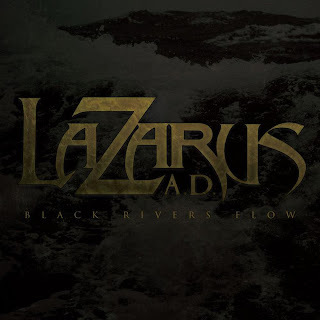 On this evidence, Lazarus A.D. are spinning hopelessly down that black river, without a paddle. Produced by Lazarus A.D. and Chris Wisco. Recorded and Engineered by Chris Wisco. Mixed and Mastered by James Murphy. 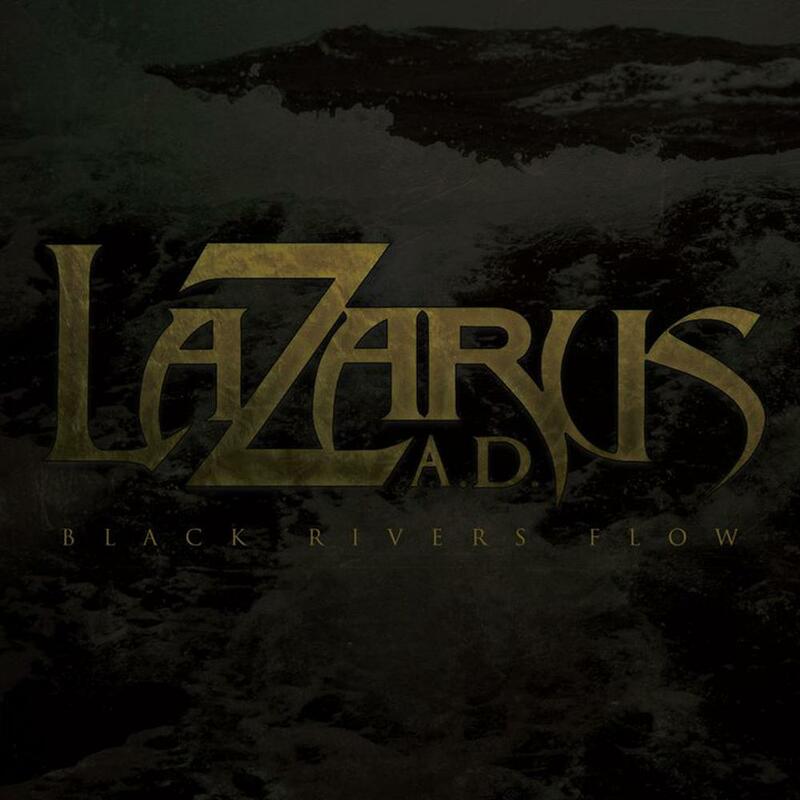 Labels: Album Review, CD Review, Heavy Metal, Lazarus A.D.